Poster (the “Poster”): International Business Machines Corporation (“IBM”), 2 Jericho Plaza, Jericho, NY 11753. Administrator (the “Administrator”): Devpost, Inc., 433 W. 14th Street, #3F, New York, NY 10014. If a team or organization is entering the Hackathon, they must appoint and authorize one individual (the “Representative”) to represent, act, and enter a Submission, on their behalf. The Representative must meet the eligibility requirements above. By entering a Submission on the Site on behalf of a team or organization, you represent and warrant that you are the Representative, and are duly authorized to act on behalf of your team or organization. Sign up for the free SuperVessel Virtual Environment at http://www.ptopenlab.com. Utilize SuperVessel and follow the instructions and requirements below to create a solution for one of three tracks in the Hackathon: The Open Road Test, The Accelerated Spark Rally, The Cognitive Cup. The application or package must be ported and demonstrated to function on the ppc64le platform. If the application or package was previously supported on ppc64le, you must show a substantive performance gain from the original compile (ex: verifiable performance gain of 50% or more from tuning/optimization). Each Submission must be functional on OpenPOWER compliant hardware. A Maker may submit more than one Submission, however, each Submission must be unique and substantially different from the others, as determined by the Poster and/or the Administrator. B. Port or create a new Spark application on OpenPOWER and demonstrate scaling to two (2) nodes under Spark. Then, enable the application with GPU acceleration and demonstrate gains when scaling to two (2) GPU-enabled instances under Spark versus the non-GPU enabled application under 2-node Spark. Note: your submission video must capture needed evidence to demonstrate accomplishments against the Challenge goals (judging criteria) – for example: Spark User Interface output – job status, statistics, tasks, DAGs, etc. ArtNet – Use Deep Learning to train Neural Networks to analyze paintings. Create a Neural Network that recognizes the painter, painting style, period, and painting technique for paintings presented to it. The paintings at Wikiart make a good starting point for a training corpus, as they contain paintings labeled with key characteristics, but many more online resources for training a neural network exist online. TuneNet – Guide programmer optimization using Deep Learning. Recognize hot spots and bottlenecks in application code and advise the programmer on how to improve the program. Label source programs with performance events and train a network to predict similar events in application source to guide programmer coding. YourNet – define and solve your own Deep Learning problem. Find an interesting problem and data set that is relevant to you life, and show how to use Deep Learning to solve it. From Log Analytics to recognizing Whales and Birds using Deep Learning, the problem field is wide open to your imagination. (i) Language Requirements: All Submission materials must be in English or, if not in English, the Maker must provide an English translation of the demonstration video, text description, and testing instructions as well as all other materials submitted. (ii) Text Description: The text description should explain your solution, including an optional single paragraph description of any innovative problem approaches to what you built, what tools were used, and any other relevant experiences with the tools. (iii) Images: The image(s) should be photographs or screenshots of your working solution. (v) Functionality: Solutions must function as depicted in the video and/or expressed in the text description. (vi) Testing: The Maker must make the Submission available free of charge and without any restriction, for testing, evaluation and use by the Poster, Administrator and judges during the Hackathon and until the Judging Period ends. (viii) Intellectual Property: Your Submission must: (a) be your (or your team or Organization’s) original work product; (b) be solely owned by you, your team, or your Organization with no other person or entity having any right or interest in it; and (c) not violate the intellectual property rights or other rights including but not limited to copyright, trademark, patent, contract, and/or privacy rights, of any other person or entity. A Maker may contract with a third party for technical assistance to create the Submission provided the Submission components are solely the Maker’s work product and the result of the Maker’s ideas and creativity, and the Maker owns all rights to them. A Maker may submit a Submission that includes the use of open source software or hardware, provided the Maker complies with applicable open source licenses and, as part of the Submission, creates software that enhances and builds upon the features and functionality included in the underlying open source product. By entering the Hackathon you represent, warrant, and agree that your Submission meets these requirements. (ix) Financial or Preferential Support: A Submission must not have been developed, or derived from a solution developed, with financial or preferential support from the Poster or Administrator. Such solutions include, but are not limited to, those that received funding or investment for their development, were developed under contract, or received a commercial license, from the Poster or Administrator any time prior to the end of the Hackathon Submission Period. The Poster, at their sole discretion, may disqualify an Submission, if awarding a prize to the Submission would create a real or apparent conflict of interest. C. Submission Display: The following Submission components may be displayed to the public: name, description, images, video URL, website URL, team members (username only), the Submission category and platform, the public link to the solution, and submitter type. Other Submission materials may be viewed by the Poster, Administrator, and Judges for screening and evaluation. How widely-used is your solution within the free / open-source community? If your solution is open-source, was it successfully contributed back to the original project? 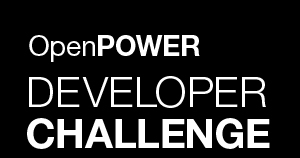 If your solution is not open source, what's your path for distribution on OpenPOWER? How will you provide and support a binary? Does your contribution add ppc64le support to an existing application or package? How well does your solution leverage the technologies available in the OpenPOWER ecosystem, like 8-way multithreading on POWER8, or accelerator offload via GPU or FPGA devices? Does the solution incorporate Spark as the framework to scale beyond a single node? How well does the solution incorporate Spark to scale? Does the solution incorporate any innovative ideas for or could be contributed to the Spark Community? Does the solution incorporate multiple possibilities across “A”, “B”, and/or “C” of the Accelerated Spark Rally? Does the solution address Deep Learning challenges as defined in the “Cognitive Cup”? How well is Deep Learning exploited as part of the solution? Does the solution incorporate any new approaches to the Deep Learning problem (e.g. did the submission involve creating new code, algorithms, or leverage emerging frameworks)? C. Submission Review: Judges are not required to test the solution and may choose to judge based solely on the text description, images and video provided in the Submission. D. Tie Breaker: For each Prize listed in Section 8 below, if two or more Submissions are tied, the tied Submission with the highest score in the first applicable criterion listed above will be considered the higher scoring Submission. In the event any ties remain, this process will be repeated, as needed, by comparing the tied Submissions’ scores on the next applicable criterion. If two or more Submissions are tied on all applicable criteria, the panel of Judges will vote on the tied Submissions. One representative from the winning team or winning individual will receive an all-expenses paid trip to Supercomputing 2016 in Salt Lake City, UT. The entire winning team (up to 5 people) will win an Apple Watch Sport. Apple Watch Sport (up to 5 per winning team). Hackathon winners will be posted on the Hackathon Website on or about November 18, 2016.